We Make Moving Easier! We do a wide variety of local moves, including apartments, single-family homes, retirement communities, dorms, condos, and many more! ALL DEPOSITS ARE REFUNDABLE IN CASE YOU MAY NEED TO CANCEL OR HAVE AN EMERGENCY AT LEAST 48 HOUR PRIOR TO YOUR MOVE DATE. WE ARE UNDERSTANDING PLEASE JUST ASK. We serve Northern Virginia, DC, and Maryland. We have completed over 2,000+ moves. 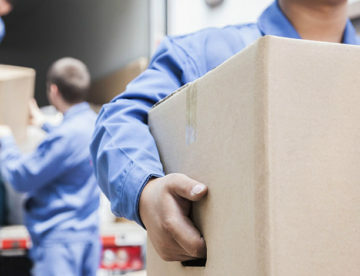 Not only do we serve local, but we also serve out of state moves such as DC to NYC, DC to PA, DC to North Carolina, VA to Texas, VA to Arizona, VA to Los Angeles, and VA to Florida. We have a wide selection of truck to choose from 10ft, 15ft, 20ft, 24ft and up to 26 foot trucks for single family homes. 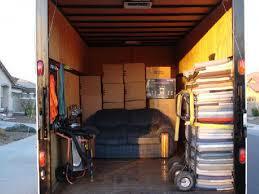 We offer fixed prices, not hourly, for out of state long distance moves exceeding 85 miles. We also promise to beat any other estimates you receive. We accept all credit cards, cash, checks, and PayPal. We offer an exclusive and custom service. If our customers do not feel comfortable with driving his or her own personal rented MOVING TRUCK or UHAUL we can Transport or drive the moving truck/Uhaul For you. Our customers have the option of catching a plane or choose their own way of transport to the desired location. Over the last 30 Years, we have moved thousands of families and businesses. Whether you are a home owner, renter, or a business owner, we would love to help you to make moving easier. We have no standard formulas. By listening to you, knowing your needs, we can give you a custom and trailed service. Please read the comments of the awesome customers we served. Very affordable and it was a pleasure to deal with them. Thank you for your service!!! I found them on google and liked the 5 star reviews they had. I called them up and they came same day. Very professional and also friendly. The move was fast, professional, and cheap what more would you ask for? From booking my appointment online, to their rapid email response. The day of the move they let me know if they were still on schedule as they went along. This is my second time using DHQM and they did not disappoint. I needed them to move me from my apt. and my old house, and then to my new condo, and they did it all within 5 hours and for a very reasonable price. They were a great team and got the job done with a smile. I’d recommend them to anyone! Request a free estimate from your local mover. We serve Northern Virginia, DC, and Maryland. We have completed over 2,000 plus moves. Not only do we serve local, but have also have done many long distance and out of state moves such as DC to NYC, DC to PA, DC to North Carolina, VA to Texas, VA to Arizona, VA to Los Angeles, and VA to Florida.